Several cruise lines — including Carnival, Disney, Norwegian and Royal Caribbean — have come together in an effort to help transform Nassau’s troubled port. Having partnered with a group of Bahamian investors and a local bank, the lines now await word on whether or not their bid to take over the massive project will be accepted. Michael Bayley, president and CEO of Royal Caribbean, told Nassau news outlet Tribune 242 that the collective was not so much interested in taking over the daily running of the port as helping the area regain its luster. And as he pointed out, they have a vested interest in the success of the project. Given the popularity of the Bahamas as a destination, the cruise industry as a whole has good reason to want to stave off rising reports of customer dissatisfaction with Nassau as a destination. “The fact that the cruise lines are coming together to offer that proposal is a really strong endorsement of the future of the Bahamas as it relates to the future of the cruise industry,” said the exec. The Tribune recently reported that three different bids are currently being considered by the government. 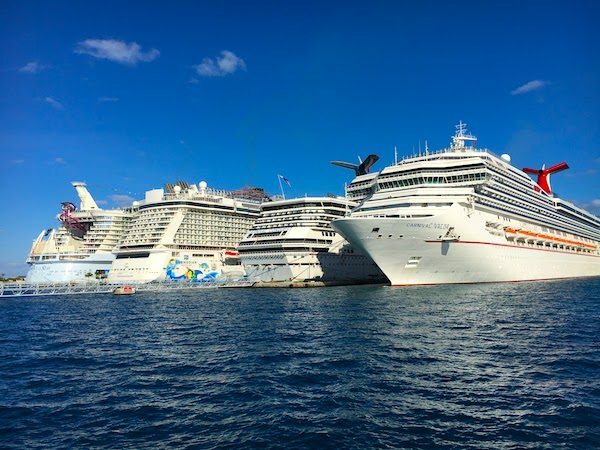 Bayley, however, believes the one put forth by the Nassau Cruise Port Group on behalf of the cruise lines and their partners, is the area’s best bet. “We have a massive amount of expertise and energy in this space,” he concluded.